Most every writer has a few bad habits. I mean, when making a habit of writing, it’s fairly easy to add other habits into the mix of our process. Many bad habits are mostly harmless, like chewing pens or mumbling your characters’ lines out loud. However, sometimes our bad habits as writers can become downright destructive, and it’s a good idea to step back and take stock in them. I’ve seen a lot of benefit in my own writing practice from ending destructive habits. Here are a few I’ve battled with myself . I’ve written about this before: waiting for inspiration just leads to low productivity and self-deprecation. When we put off writing, our practice suffers. I can’t count the number of times I’ve sat in front of my computer screen, only to get up two minutes later because I just wasn’t “feeling it”. The best solution is to find a schedule and stick to it. Right now, I’m only managing to find time to write in 15-minute increments. It’s not a lot, but I’m writing several times each week, and it’s keeping my practice going. Photo by rore (Flikr). Used under the terms of the Creative Commons. In high school, my favorite way to start a writing project was with a fat piece of chocolate, tea, and good music. The combination was very stimulating, and somehow got me thinking that I wrote better when I had a bit of sugar inside my tummy. Unfortunately, when I integrated a food item as a mainstay in my writing practice, I started gaining weight and suffering in other health-related areas. I don’t mean to say there’s anything wrong with a cookie when diving into a new chapter or a bag of peanut M&Ms to celebrate finishing your latest project. However, as when we add junk food to our writing habit, it hurts our bodies more than any stimulation me may possibly get from the jolt of sugar. To help me drop the habit of eating sweets while writing, I tried upping my tea intake to keep me less hungry. I also tried to write on a full stomach, choosing my times right after a meal or a healthy snack. In combination with a lot of willpower, I managed to kick the habit. Photo by Lindsey G (Flikr). Used under the terms of the Creative Commons. There’s a myth that the best writers in history were heavy drinkers: Ernest Hemingway, Tennessee Williams, Elizabeth Bishop, Marguerite Duras. For me, I thought a drink while writing during my first NaNoWriMo would help me get words on paper. However, it was not long before I had a drinking habit that interfered with my writing production. To be clear, I’m not talking about a “drinking problem” in the addiction sense, and if you have a drinking issue, I HIGHLY recommend you seek professional help. This is not so much about physical dependence as about having a habit of consuming a product that left my wits dull and my body lethargic, when I really should have been at my best. To drop the habit, I stopped drinking at all during any writing projects. As with sweets, with a little willpower and the encouraging realization that my writing improved with the clarity of my mind, I managed to kick the habit. Now, I may have a small glass of something while writing for my blog, but I don’t feel I need it to get through a long writing process. So, have you guys ever struggled with any bad writing habits? If so, do you still struggle, or have you found a solution to get over your habit? There are few things as important to the writing process as a good reading lineup. I’ve discussed before how I like to build reading lists, and I’ve even shared a few recommendations in the past. I find that I can learn more about a person from what they’re reading or have read recently than a conversation on other topics. But maybe I’m biased. Anyway, in case you’re curious, here are a few books that I’ve read recently, am reading now, or will read this month. Judge me as you will. 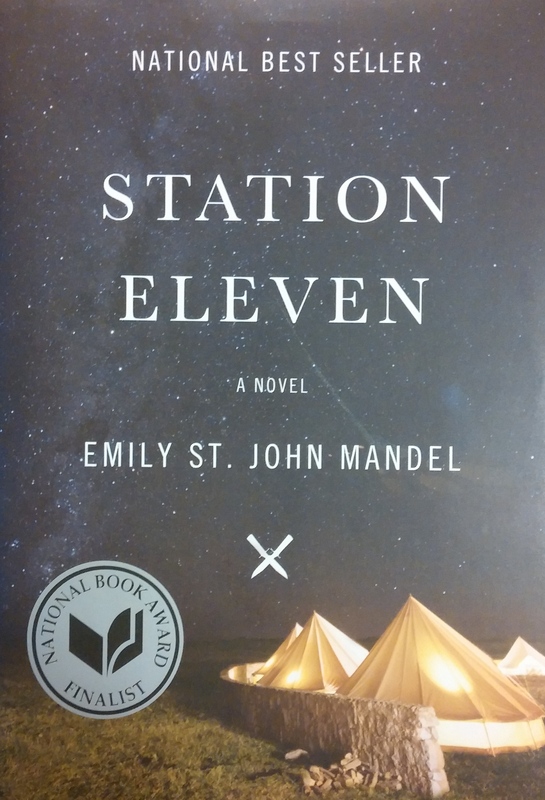 I first thought about reading Station Eleven after it was announced as a National Book Award finalist; however, I didn’t actually pick it up until my book club elected to read it together. I’m glad I did. I did sometimes find the actual writing to be a little lacking (among other things, the author ran into problems with verb tense agreement). 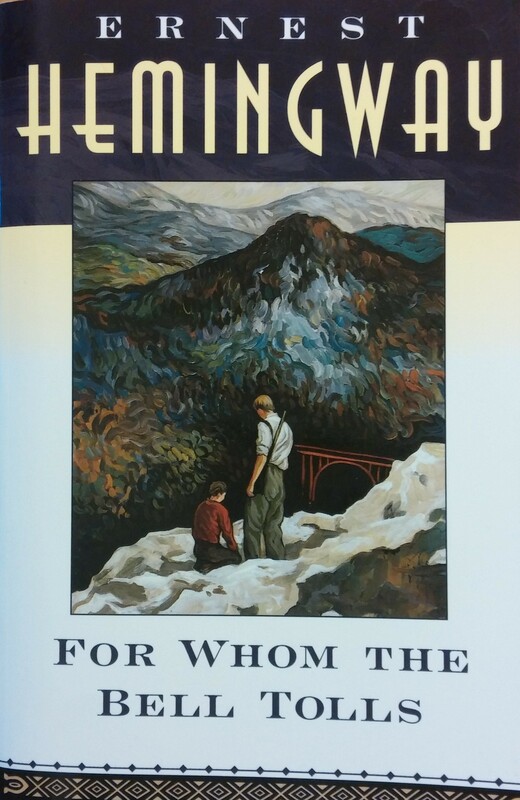 However, I will always praise this book for seamlessly melding the perspectives of a host of different characters. Also, it’s a fairly unique take on the dystopian future genre that’s saturating the book market right now. Upon visiting New York City late last month, I was gripped with a powerful urge to understand this new place; I found what I was looking for in George Lankevich’s book. To be honest, I go through non-fiction phases (I’m in the middle of one now), and rarely seek it out unless I have the urge to learn a significant amount of information on a topic. The short history of New York, while compact, did give me this information. It starts from the city’s founding as an early Dutch settlement and continues on into the present age. While I can tell Mr. Lankevich has a few biases (he leans conservative), I appreciated his dry humor and sincere yet honest appreciation of this infamous city. This book was recommended to me by a friend with an entrepreneurial spirit. While I’m not a burgeoning businessperson, I did appreciate the first section of this book, in which the author, Yvon Chouinard (founder and owner of Patagonia) discusses the birth of his company. It was interesting and made me appreciate the guts it takes to stand out in the world of sporting equipment. That being said, I didn’t see much benefit in reading the later chapters, which focused on Yvon’s business philosophies–I’m really not interested in business. I’m glad I read the parts that I did, though. I’ve owned this book for the better part of a decade, and this is first time I’ve actually decided to read it. A part of me is glad; it’s a renowned piece of American Literature. A part of me is also groaning; I have a distinct love-hate relationship with Hemingway going back to the first time I read The Sun Also Rises. I do appreciate the man’s simple prose, but sometimes I think he’s a little too obsessed with ideals of masculinity. In any case, I’m enjoying the few chapters I’ve read so far, and am doing my best to keep an open mind. There’s a reason this is part of literary canon, right? I’ve been wanting to read this book for at least a year. It showed up on my Tumblr dash and I was intrigued by the cover, featuring a single red jewel over a churning blue background. According to the back summary, Prophecy is about a girl named Kira who serves as the body-guard to a prince. There’s political and demonic intrigue and all sorts of coming-of-age themes. Did I mention that this young adult fantasy book is based on ancient Korean lore and mythology? Yeah, I’m sold. I just have to buy it before I get distracted by my next book. So, do you think you know more about me after getting a glimpse of my currents reads? What are your current reads? Do you find you reread more books than explore new books?